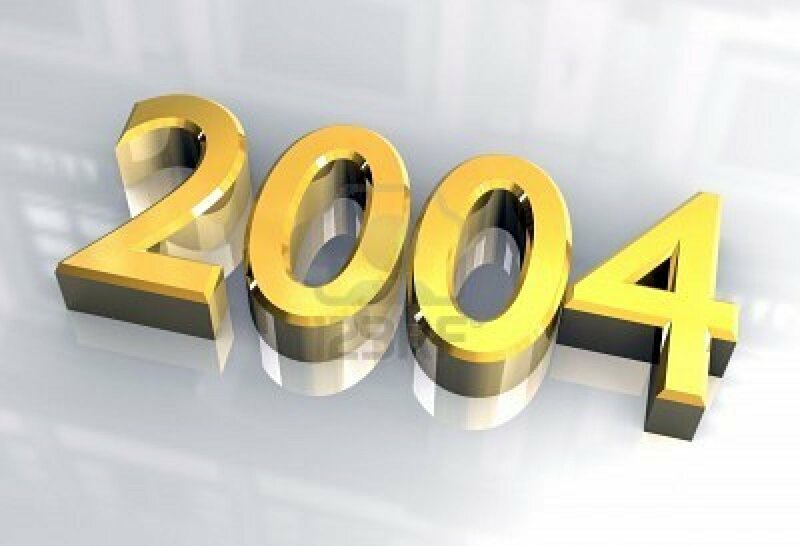 On this edition we spotlight 2004. You’ll notice that there are no listings of births this year. There were no celebrity births in music yet to spotlight . . .
April 29 – The last Oldsmobile rolls off of the assembly line. May 6 – The series finale of Friends airs on NBC. August 12 – New Jersey Governor James McGreevey announces that he is “a gay American” and will resign effective November 15, 2004. September 24 – Major League Baseball announces that the Montreal Expos will move to Washington D.C. in 2005. December 26 – One of the worst natural disasters in recorded history hits Southeast Asia, when the strongest earthquake in 40 years hits the entire Indian Ocean region. The massive 9.3 magnitude earthquake, epicentered just off the west coast of the Indonesian island of Sumatra, generates enormous tsunami waves that crash into the coastal areas of a number of nations including Thailand, India, Sri Lanka, the Maldives, Malaysia, Myanmar, Bangladesh, and Indonesia. The official death toll in the affected countries stands at 186,983 while more than 40,000 people are still missing.